Between 510-650 meters around Diyarbakır, the Tigris River flows by, sometimes creating meanders or forming a stranded drain, and by subsiding and showing linearity at some places. The Tigris offers natural and unique landscape features which can be called as Fluvial-topographic consisting on embedded meanders, stranded drain, abandoned meander channels, meander marks, sand islands, carved slopes and point bar deposits, and terraces. Ecosystems which consist of rare species are generally related to such landscape and environment conditions. Because of the block shaped by Karacadağ lavas, the river changes its course towards east by forming a sharp bend in the south of Diyarbakır; and in this zone of the basin it continues to flow from east to west in its wide floodplain. In the vicinity of the city, the lithology on both slopes differs making the transverse profile of the watercourse asymmetrical. The wide floodplain of River Tigris widens in the southern area of the city where it creates meanders as it erodes easily the clayish sediments characterizing the geological substrate. Therefore, large meander sliding terraces have been formed in the area where the Hevsel Gardens are located. The circular form of this area gives the idea that it has covered a gypsum karst. The Tigris flow depends on a pluvio-nival regime characteristic. This river, which takes its source from south eastern Taurus where the snowfall is intense and the snow stays during a long time, carries large amounts of sediments together with the increase of its flow rate related on the onset of warm period and the thawing of snow on the mountains slopes. Hence, lots of sand islands and abandoned meander channels create several oxbow lakes with the recession of the water in the arid periods. The river landscape around Diyarbakır takes its form according to the water supply variability related to long term climate changes, seasonal ones and the resulting flow and river kinetic energy deriving from it, more or less influenced by the lithology, local geology and tectonic features, and covered gypsum karst. 1The Tigris River together with its valley are among the most important factors that physically shaped thus determined the location of Diyarbakır historical city. The characteristic meander of the Tigris River just below the city fortifications, housed the agricultural lands called the Hevsel Gardens, a very important area in which the ancient history of Diyarbakır is embedded. Since antiquity the Hevsel Gardens are a testimony of rational land use, and have a rich habitat containing endemic and special species, as well as a special and original natural landscape. 2Along with the Euphrates, the Tigris is the most significant river in the Near East. 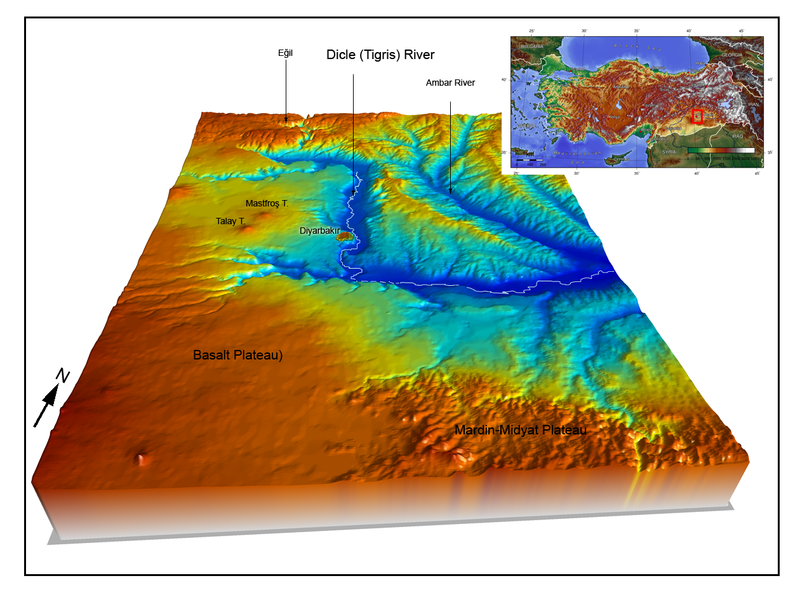 Playing an essential role in the hydrography of the whole region, its upstream section is located in South-eastern Anatolia and its source some 25 kilometers north from Diyarbakır. The total length of the river amounts to 1,900 km whereas it has a 57,600 km2 reception area. The Maden stream forms the upper course of the Tigris. This stream springs from the south-eastern slopes of the Hazarbaba Mountain (altitude 2,230 m) south of River and Lake Hazar. In this area, the Tigris and the Euphrates converge substantially. The Maden stream merges with the Dibni stream (Birkleyn) in the vicinity of Eğil town, incising the south-eastern Taurus with deep valleys and gorges; then it gets into the Diyarbakır Basin where it becomes River Tigris. After merging with several tributaries like the Batman, the Garzan and the Botan, the Tigris increases its average flow of water and leaves Turkish borders by leaning southeast after the Cizre plain (Yıldırım 2004). 3The Tigris water supply is based on a pluvio-nival regime, meaning mostly from rainfall and snowfall. Taking its source from the South-eastern Taurus where snowfall is dense and where almost perennial snow layers can be found on high slopes, the river benefits from this water supply during most of the year, increasing its flow significantly with the melting of the snow at the start of the hot season. The upper Tigris basin benefits also from rainfalls, occurring mostly during winter and spring (Özgen 2007: 127; Figure 1), generating important fluctuations of the flow kinetic, water rises and floods. 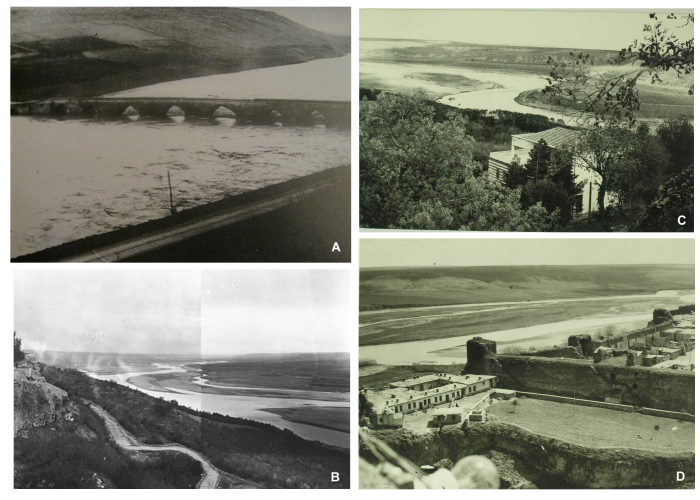 Therefore the Tigris carries lots of alluvium, creating many river islands and sandbanks while abandoned meander branches are formed by the recession of water during the dry period (Photo 1, a-b-c-d). 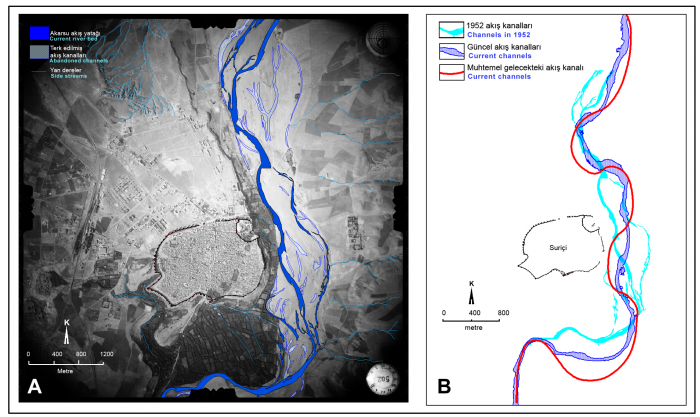 4In addition, flow and drainage characteristics of River Tigris are not only affected by the geological and tectonic structures of the area, but also play an important role in shaping the geomorphology of the region. 5Thus, one should bear in mind that the upper Tigris basin environment is in constant development, according to climatic variations between seasons as well as climatic changes since the Holocene. Such changes affected the course of the Tigris, the geomorphological structure of the region and, eventually, the settlement patterns since the Neolithic and the relations between human occupations and the environment throughout the last twelve millennia BP as far as settled communities are concerned. 6This article aims to specify the different environmental characteristics of the Tigris river landscape in the vicinity of Diyarbakır, from its geomorphological aspects to the natural life it shelters. 7In the Diyarbakır Basin, the Tigris flows through wide valleys cutting into alluvial basin fills. The north-south direction of the river flow is modified by the volcanic mass of the Karacadağ Mountain. The barrier formed by the Karacadağ lava accretions leads the Tigris to take a sharp turn south of Diyarbakır, heading eastward; to settle on an east-west direction in this section of the basin, still flowing in a wide valley (Figure 2). 8On an extend of 510 to 650 meters around Diyarbakır, the Tigris flows by, sometimes creating meanders or presenting some stranded drains, sometimes its flood subsiding to a narrow bed or showing linearity at some places. Near the city, the Tigris valley has an asymmetric transverse profile. This is due to different rock formations on both riverbanks slopes. Terraces on the eastern slope of the valley are more visible and relatively well preserved. The river has entrenched meanders around Diyarbakır city. In the south of the city, where the river is at its widest, the valley also is getting larger. At this point, the clayish nature of the geological deposit gives way to an easy and fast erosion process helped by successive floods. Thus, meander terraces made of young alluvial deposits have formed, naturally building up the ground and natural habitat on which the Hevsel Gardens stretched. 9Because the flow of the Tigris moves further away from the basalt slopes over time, steep basalt slopes are relatively well preserved (Figure 3). The flow channels to the south and to the east have deepened the river bed on the one hand, and created rhythmic meander terraces on the other, leading to the Hevsel Gardens formation. This mechanism follows Bridgland and Westaway’s (2008: 285-315) model of climatically controlled terrace staircase formation. 10The river plays an important role in shaping the active geomorphological structure in the vicinity of the city. The river occasionally displayed a braided pattern inside a valley with entrenched meanders, while today its flow has a mature meander pattern. The river displays braided and linear flow characteristics in some places, but usually forms meander belts in the valley floor, and creates geomorphological erosion and deposition structures such as incised meanders specific to flood plains, braided drainage, abandoned meander channels, meander scars, sand dunes, eroded slopes, meander bend deposits, and terraces (Karadoğan 2015: 11; Figure 4). 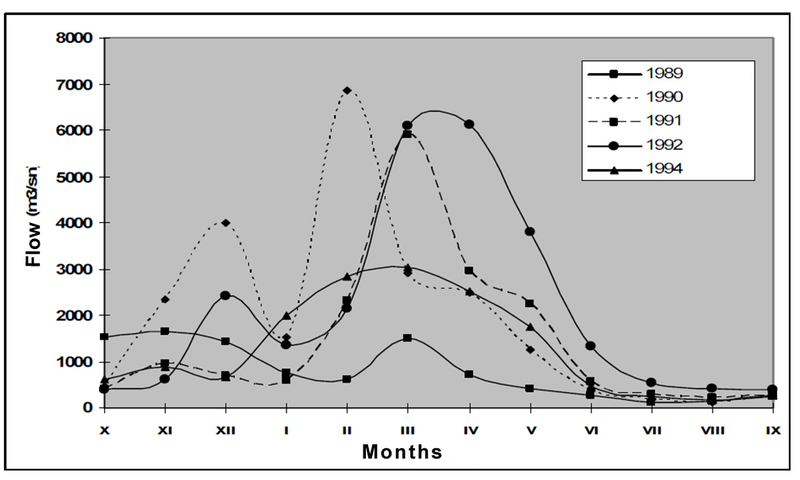 11Because of the active geomorphological process, the topography of the River Tigris valley is not stable (Figure 5). 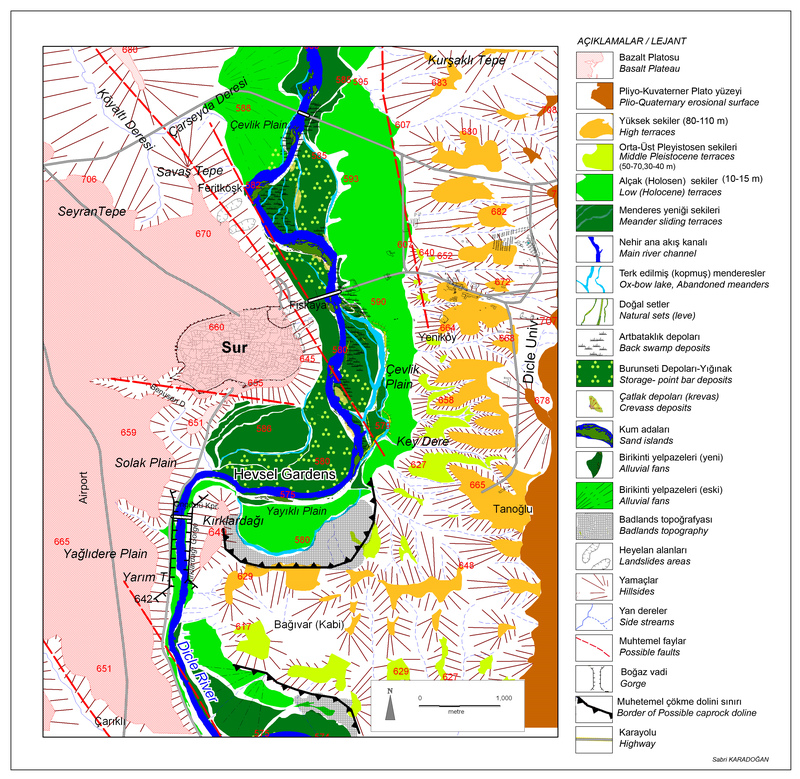 The dynamic nature of the geomorphological conditions in the Tigris Valley also hosts a sensitive ecosystem. This environment in which the river acts as a green lung especially in arid climate, is rhythmed by the frequent flows and geomorphological regime changes. Thus, although creating a rich ecological niche, the strong interdependence tends to make such environment a fragile one. 12Back swamps, swamp deposits, oxbow lakes, islets, and reed beds, created by changes in the course of the Tigris, include rich ecological habitats. In addition, these areas are known to be breeding, stopover, and feeding grounds for migratory birds, and homes for endemic species such as the Euphrates Soft-Shelled Turtle, living in the swamps and sand dunes of the river. 13This turtle, a semi-aquatic reptile species, is under threat of extinction; and lives only in the Tigris and Euphrates water systems. The species have lost its habitat at a great pace because of dams and sand quarries (Taşkavak and Atatür 1998: 20; Biricik and Tuğra 2011: 101). 14Junonia Orithya, a butterfly species native of tropical areas was discovered on the Tigris riverbanks in 2010. Discovered in Turkey for the first time and located within the boundaries of the proposed UNESCO World Heritage site, this species was named Dicle Güzeli (Beauty of the Tigris), and added to the list of species in Turkey (Biricik 2011: 131). 15The Tigris can be seen as a migration corridor. Indeed, the river plays an indispensable role in the seasonal journey of many migratory species, both as a geographical marker on the flyway between wintering and summer breeding lands and because of the suitable habitats such as lakes and marshlands related to the river. In migration monitoring studies, thousands of individual birds of prey were spotted, including hawks, honey buzzards, black kites, lesser spotted eagles, and hobby species. Eventually, the Hevsel Gardens are not only an historical heritage, or a cultural one but are an important habitat for resident birds, as well as a safe stopover spot for migratory birds of prey at night or during bad weather (Kaya 2011a, b, [11.11.2015]). 16The Tigris is one of Asia’s most important rivers in terms of fish variety, and contains a total of 51 species from 12 families, 45 of them local and six exotic (Coad 1996: 80; Ünlü 2013: 324). Among these species, 28 are endemic and are vulnerable to changes affecting the river system. Of these, Luciobarbus subquincunciatus, Paraschistura chrysicristinae, and Cobitis kellei are critically endangered; while Carasobarbus kosswigi and Luciobarbus xanthopterus are categorized vulnerable. 17Glyptothorax kurdistanicus and Glyptothorax armeniacus species of the genus Glyptothorax, which is common in Southeast Asia, and Barilius mesopotamicus species of the genus Barilius are also endemic to the Tigris-Euphrates Basin (Ünlü 2013: 318; 2015: 2). 18In the vicinity of Diyarbakır, Tigris Valley forms the ecosystem of a river and its surroundings. This ecosystem is an important habitat for many unique plant species. Although a large section of the main stream of the river is destroyed, small tributaries of the river are surrounded by thick woods, typical of the gallery forest type following the riverbanks. In addition to dominant species such as willow species and the Euphrates poplar, these gallery forests also contain climber species and, in the lower section, shrubs, and herbaceous plants. Gallery forests also consist of thick shrubbery and reed beds consisting of blackberries, liquorice, common reed, and tamarisk. The rich habitats in the Tigris Valley including swamps, meadows, and steppes, are home to many species. Of the flowering plants, the summer pheasant’s eye, figwort, chamomile and crocus are among the endemic species of the Tigris Basin (Saya and Ertekin 1998, quoted in Ünlü 2015: 2). 19The Tigris Valley is a special place that should be examined from archaeological, ecological, as well as geomorphological perspectives. Although a number of studies have been conducted (Algaze et al. 1991; Parker and Creekmore 2002; Doğan 2005; Karadoğan and Kozbe 2013; Kuzucuoğlu 2014), information on the geographical history of the region is still scanty. Data to be gathered from regional studies can potentially fill an important gap in the literature. Studies in the region can shed light on many issues including the current and past dynamics of the local and regional hydrographic and river ecosystems, human activity, social and economic controls in the region following the last glacial period as well as the development and evolution of human communities in Tigris Valley from prehistoric times to present. 20Both local and regional studies, with a geomorphological and paleo-geographical focus on the Hevsel Gardens and on the neighboring Tigris Valley, should be conducted. Within this framework, tectonism, gypsum sinkholes, local earthquakes, incised terraces, volcanic phases; and ages affecting river drainage, stream capture, and paleoclimate should be studied. 21Further data from these field studies would initiate a healthy debate and help reconstructing the relationship among climate, environment, and human communities; and as part of this discussion, connect regional centers of settlement (particularly Diyarbakır) with other settlements of regional importance from the Neolithic to the Ottoman era (e.g. Körtik Hill, Çayönü, Hasankeyf). 22The Tigris and its valley are among the most important factors that determined the natural location of Diyarbakır from its prehistoric and Classical onsets. 23The Tigris River in the Diyarbakır Basin flows through wide valleys that cut into alluvial basin fills. 24River Tigris has entrenched meanders around Diyarbakır city. In the south of the city, where the river has its widest meander, the valley gets wider because the clay deposits characterizing the geological substrate at this place are easily eroded over a short period of time; and meander terraces with young alluvial deposits have formed, which are called the Hevsel Gardens. 25The river plays an important role in shaping the active geomorphological structure in the vicinity of the city. The river occasionally displayed a braided pattern inside a valley with entrenched meanders, while today its flow has a mature meander pattern. 27Dams, already built and under construction, will turn the Tigris River and its valley into a series of artificial lakes, similar to what happened to the Euphrates. As a result, the only section of the Tigris that remains a partially free stream ensuring perennial conservation perspectives for the environment and the wildlife, is the one directly related to the city of Diyarbakır. 28Natural areas within River Tigris valley in the vicinity of Diyarbakır are sensitive and unprotected areas that are vulnerable to many destructive dynamics. However, if protected and rehabilitated, these areas also have the potential to serve as a wildlife refuge for many species. Algaze, G., Breuninger, R., Lightfoot, C., Rosenberg, M., (1991). « The Tigris-Euphrates archaeological reconnaissance project: a preliminary report of the 1989-1990 seasons. » Anatolica, 17, p.175-240. Biricik, M., (2011). « First record of Junonia orithya (Linnaeus, 1758) (Lepidoptera: Nymphalidae) in Turkey, » Zoology in the Middle East 53, p.130-132. DOI: 10.1080/09397140.2011.10648871. Biricik, M.,Tuğra, Ş., (2011). « Description of an Euphrates Softshell Turtle (Rafetus euphraticus) nest from the Tigris River (SE Turkey), » Salamandra 47(2), p.99-102. URL: http://www.salamandra-journal.com/index.php/home/contents/2011-vol-47/243-biricik-m-s-turga/file. Bradley, J. Parker and Andrew Creekmore (2002). « The Upper Tigris Archaeological Research Project: A Final Report from the 1999 Field Season, » Anatolian Studies 52, p.19-74. DOI: 10.2307/3643077. Coad, B. W., (1996). « Exotic fish species in the Tigris-Euphrates basin. » Zoology in the Middle East, 13(1), p.71-84. DOI: 10.1080/09397140.1996.10637707. Doğan, U., (2005). 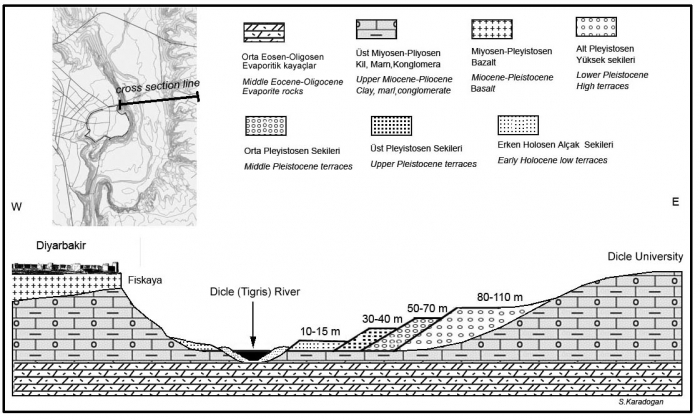 « Holocene fluvial development of the Upper Tigris Valley (Southeastern Turkey) as Documented by Archaeological Data, » Quaternary International 129. p. 1, 75-86. DOI: h10.1016/j.quaint.2004.04.008. Karadoğan, S; Kozbe, G., (2013). « Yukarı Dicle Havzasının (Batman-Bismil Arası) Jeomorfolojik Özellikleri ve Arkeolojik Yerleşme/Buluntu Yerlerinin Dönemler Boyunca Mekan Etkileşimleri, » Ertuğ Öner (ed. 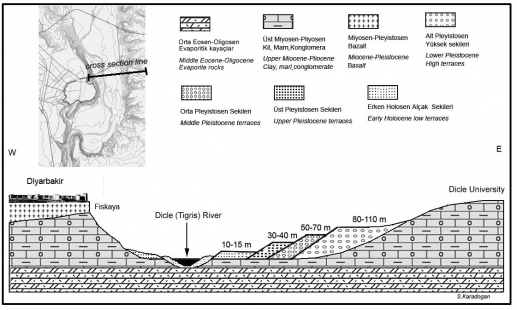 ), Geomorphology of Holocene records in Turkey (İlhan Kayan için Armağan Yazılar), Izmir, Izmir Univ. Pub., p.540-564. URL: http://www.dicle.edu.tr/a/skaradogan/eser/f2.pdf. Karadoğan, S., (2015). « Yerleşmeye Etkileri Açısından Diyarbakır Kenti ve Yakın Çevresinin Doğal Peyzaj Unsurları, » N. Soyukaya (ed. ), Diyarbakır Kalesi ve Hevsel Bahçeleri Kültürel Peyzajı, Diyarbakır, Diyarbakır Kalesi ve Hevsel Bahçeleri Alan Yönetimi, p.1-15. URL: https://www.researchgate.net/publication/299562721_Yerlesmeye_Etkileri_Acisindan_Diyarbakir_Kenti_ve_Yakin_Cevresinin_Dogal_Peyzaj_Unsurlari_Diyarbakir_Buyuksehir_Belediyesi_Diyarbakir_Kalesi_ve_Hevsel_Bahceleri_Kulturel_Peyzaji_Alan_Yonetimi_Baskanli. Kaya, S., (2011a). « Doğu’nun Manyas’ı Hevsel Bahçeleri, » Hürriyet 11.11.2015. http://www.hurriyet.com.tr/pazar/17134705.asp. Kuzucuoğlu, C., (2014), « The regional scale of the Neolithic in Anatolia: Issues about chronology and environmental contexts. » Gilles Arnaud-Fassetta, Nathalie Carcaud (eds.) French Geoarchaeology in the 21st century, Paris, CNRS, p.129-146. Özgen, N., (2007). « Bismil İlçesinin Coğrafyası, » Ankara Üniversitesi Sosyal Bilimler Enstitüsü, unpublished doctoral thesis, Ankara. Taşkavak, E., Atatür, M. K., (1998). 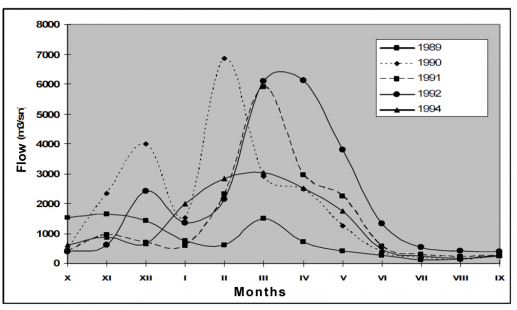 « Distribution and habitats of the Euphrates Softshell Turtle, Rafetus euphraticus (Daudin, 1802) in Southeastern Anatolia; with some observations on biology and factors endangering its survival, » Chelonian Conservation and Biology 3, p.20–30. Ünlü, E., (2013). « Çevresel etkilerin Dicle Nehri balık türleri üzerine etkileri. » Yusuf Kenan Haspolat (dir. ), Diyarbakır Yerüstü Kaynakları 1, Diyarbakır, Dicle Üniversitesi, p 318-332. Westaway, R., Guillou, H., Seyrek, A., Demir, T., Bridgland, D., Scaillet, S., Beck, A., (2009). « Late Cenozoic surface uplift, basaltic volcanism, and incision by the River Tigris around Diyarbakır, SE Turkey. » International Journal of Earth Sciences 98, p.601-625. DOI: 10.1007/s00531-007-0266-z. Yıldırım, A., (2004). « Hasankeyf – Gercüş ve Yakın Çevresinin Fiziki Coğrafyası, » Ankara Üniversitesi Sosyal Bilimler Enstitüsü, unpublished doctoral thesis, Ankara. KARADOĞAN, Sabri. River Landscape around Diyarbakır City, formed geomorphological Landforms and related Issues concerning this Ecosystems conservation In : Les jardins de l’Hevsel, paradis intranquilles [en ligne]. Istanbul : Institut français d’études anatoliennes, 2018 (généré le 26 avril 2019). Disponible sur Internet : <http://books.openedition.org/ifeagd/2275>. ISBN : 9782362450709. DOI : 10.4000/books.ifeagd.2275. Karadoğan, Sabri. “River Landscape around Diyarbakır City, formed geomorphological Landforms and related Issues concerning this Ecosystems conservation ”. Assénat, Martine. Les jardins de l’Hevsel, paradis intranquilles. Istanbul : Institut français d’études anatoliennes, 2018. Web. <http://books.openedition.org/ifeagd/2275>. ASSÉNAT, Martine (dir.). 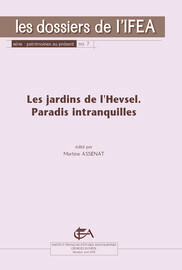 Les jardins de l’Hevsel, paradis intranquilles. Nouvelle édition [en ligne]. Istanbul : Institut français d’études anatoliennes, 2018 (généré le 26 avril 2019). Disponible sur Internet : <http://books.openedition.org/ifeagd/2252>. ISBN : 9782362450709. DOI : 10.4000/books.ifeagd.2252. Assénat, Martine, ed. Les jardins de l’Hevsel, paradis intranquilles. Istanbul : Institut français d’études anatoliennes, 2018. Web. <http://books.openedition.org/ifeagd/2252>.